to decorate the website for the eighth anniversary. 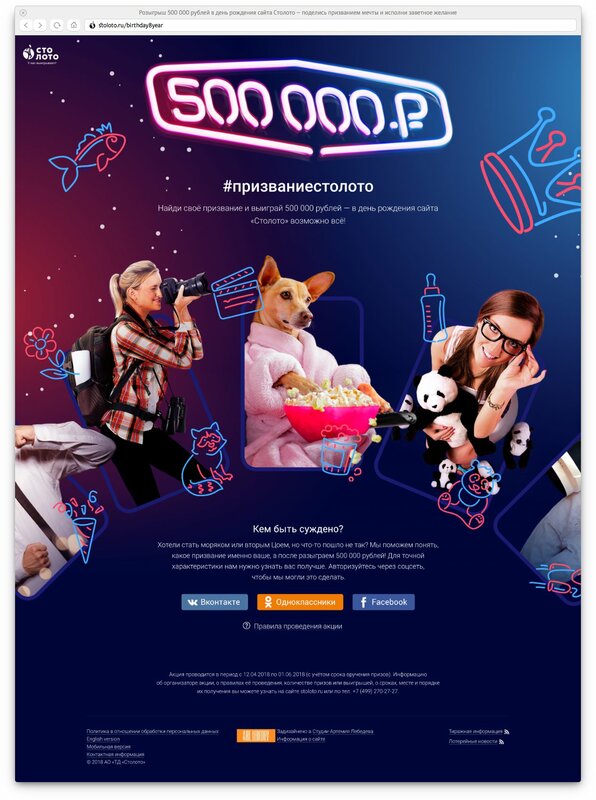 The anniversary of the Stoloto website happens to fall on the Cosmonautics Day. 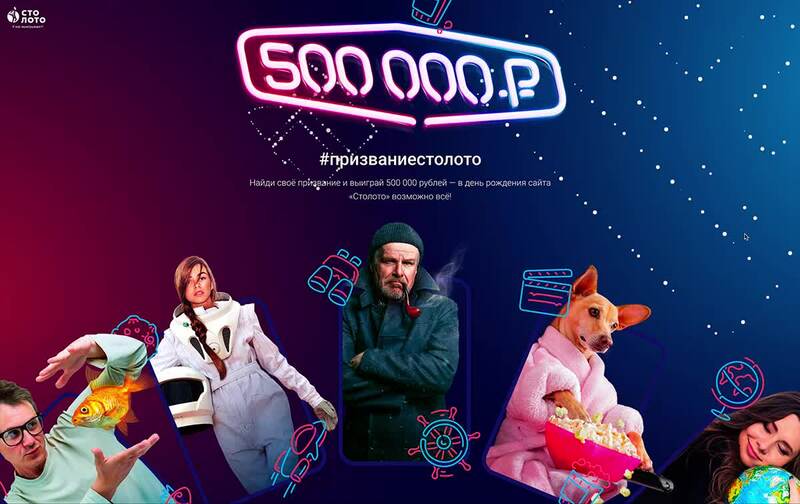 To celebrate both holidays, Stoloto will hold a super draw of a 500 000 ruble prize. 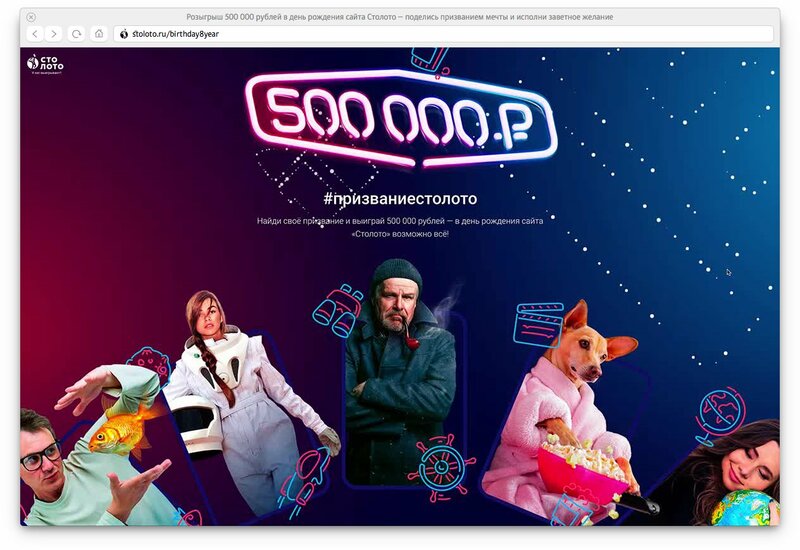 A space-and-birthday-themed page for the country’s main lottery website was designed at the studio. Cosmonautics Day is all about dreams and finding your calling. The holiday page determines a visitor’s talent and invites to take part in the draw. 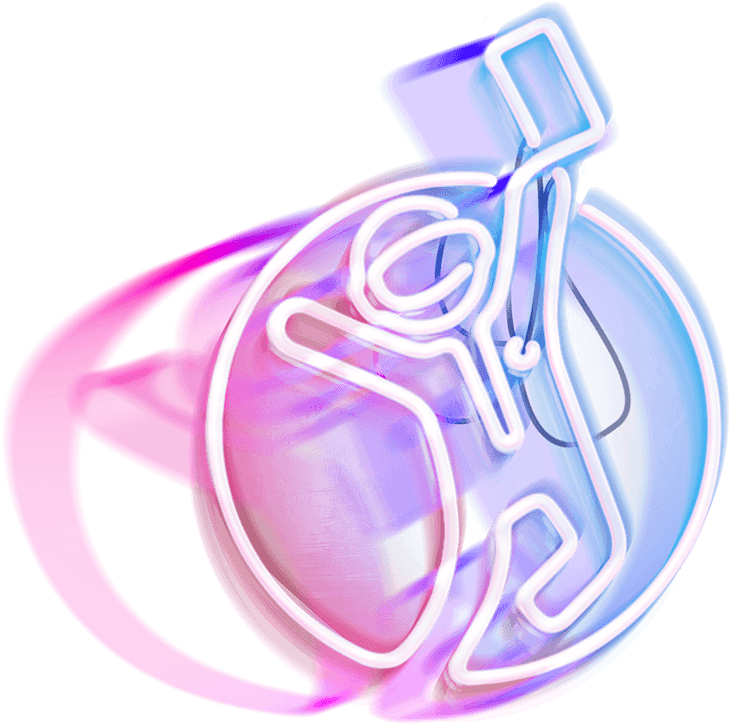 The real talents are depicted with characteristic photo images and supplemented with neon pictures, making it very clear: she is a certified sleep specialist and he is the party king. To take part in the draw, visitors need to log in using a social network account, find out their calling and repost it with a hashtag. The system scans the user’s profile and announces the result. If you don’t like it, try again! The cosmic background with holiday constellations creates a dreamy mood. Neon graphics complements the anticipation of dreams coming true.